Madeline slept for over a thousand years and then her queen smashed the glass that enclosed her and her infant son and woke her. Madeline didn't remember much of her life before but she remembered her infant son. Before she could get her son to wake up as well, he was kidnapped. So she goes to ask for help to the only person she knows will help her, the baby's father. Lev didn't sleep while his wife and son were cursed to sleep for over a thousand years. Instead he became a formidable, lethal white wolf and never stopped searching for them. He knew who caused the curse that put his family to sleep and he would get his revenge one day, of that he had no doubt. While this was a good story it was also long and drawn out. 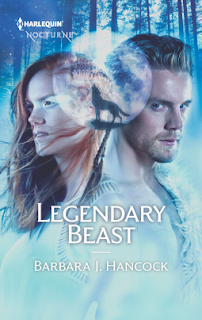 They are on the run for most of the story, running from witches, wolves and other bad guys while they try to make it to the place where their son is and rescue him. Lev remembers her and misses her. He's never stopped looking for her while she and their son slept and throughout the story she slowly starts to get her memory back. I really liked her character. She's not a scared, weak heroine. She wields a ruby sword and can fight like the warrior she's always been. At first she's afraid of the white wolf because of her memory loss and the lies that are told to her but as Lev and Madeline get closer and get to know one another and she remembers their past, her fear disappears. There are a coupe of good twists in this book and the ending was really good. I liked these two as well as the secondary characters.